At Triple S Motors, we are one of Victoria’s leading Independent Saab service and repair specialists. 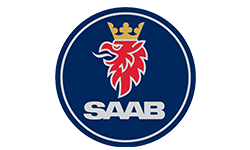 With our 30 years of experience with the latest servicing and diagnostic facilities, we offer the best services for any Saab car. Triple S Motors is a one-stop service workshop for the complete range of services and repairs to keep your Saab in prime condition. Our service caters to all Saab models and all our work is carried out by our highly skilled and trained technicians, in accordance with Saab’s servicing schedules and specifications.